After overindulging at Christmas, many of us are feeling drawn to trying a new fad fitness regime. 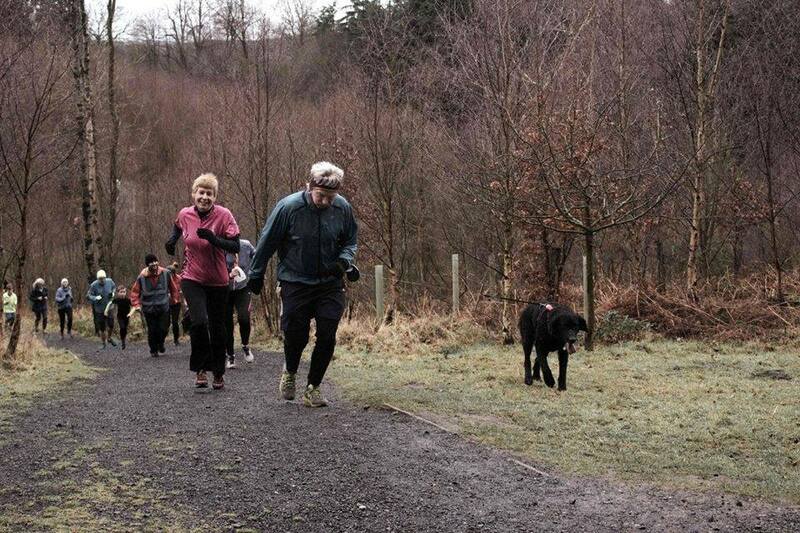 The start of a new year is when so many of us start to think (again) about keeping fit and healthy. We try to go to the gym, see how busy it is and are promptly put off enough and find it all so much easier just to head home and sit on the sofa (I do anyway). 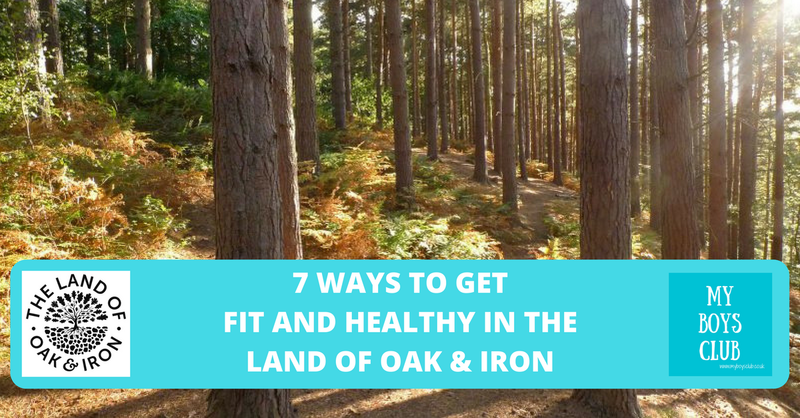 But in this country and especially here in North East England we have so many beautiful areas of countryside and outdoor space just waiting for us to immerse ourselves in as we get active. And the Land of Oak & Iron, which focuses on the Derwent Valley and the surrounding area, following the River Derwent from Derwent Reservoir to the River Tyne, involving Consett, Rowlands Gill, Prudhoe and Whickham, is no exception. I’ve written about this place before and family-friendly activities you can enjoy there. It’s actually where I grew up but is now named the Land of Oak & Iron. Sounds really cool and mystical, doesn’t it? And actually, it is. It’s a place that is bursting with acres of beautiful natural woodland, rich in wildlife, and also has a whole industrial and cultural heritage to celebrate. Plus, it is less than 30 minutes away from Newcastle, Durham and Sunderland. Winter is still holding its grip on the whole region but even in January we can see the first signs of spring appear, as snowdrops peep through the icy soil, and a closer look on the trees reveals that buds are waiting to burst. Ducks, geese and swans continue to bob their heads out of their wintering wetland homes whilst fieldfares and redwings will move in flocks through the countryside. All these signs should be encouraging us to get out into the outdoors and join them as we try to get fitter and healthier. 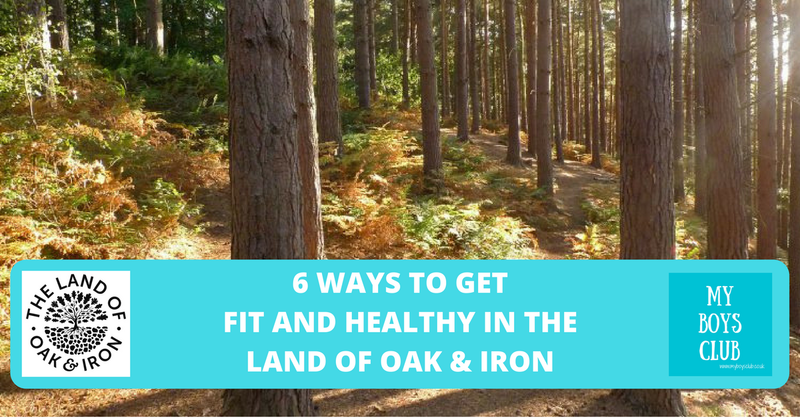 Park Runs are free, weekly, running events that take place around the world in pleasant parkland surroundings, including here in the Land of Oak & Iron. They are open to everyone and easy to take part in, encouraging people of all running ability to take part; from those taking their first steps in running to Olympians; from juniors to those with more experience. Thornley Woodlands Centre is within the ancient woodlands of the Derwent Valley that is home to many birds including green and great spotted woodpecker, nuthatch, and sparrowhawks. An observation hide is located within the woods with keys available for purchase from the centre. 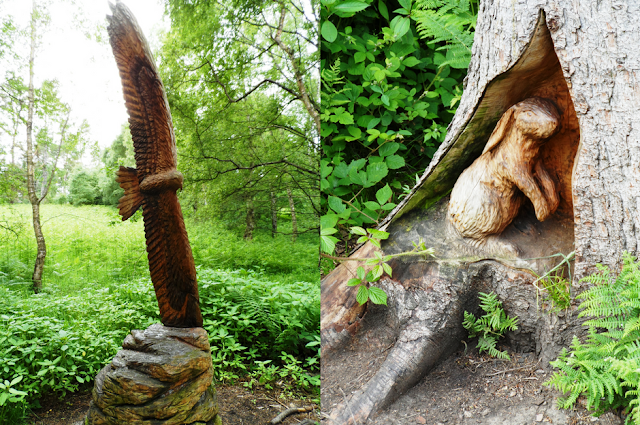 Walking routes from the centre are clearly marked including a circular route that takes in a number of sculptures carved from trees stumps including an otter and a red kite. A cosy cafe serves delicious locally produced and seasonal food, including healthy homemade soups, toasties and hot and cold drinks – all very welcome at this time of year! Get yourself out and about for a few hours during the week and occasionally on weekends and learn traditional woodland management skills and help the Land of Oak & Iron carry out a wide range of practical projects, which could include, coppicing, green woodwork, surveying, habitat management, step, bridge and path making, waymarking & fencing. 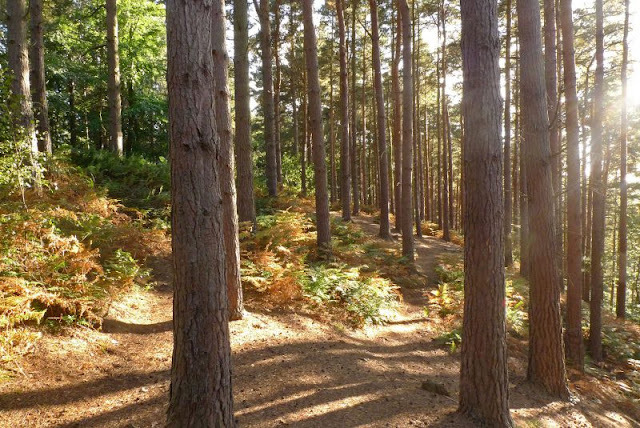 Whether you've just received your first bike for Christmas, or you're happy racing over roots, Chopwell Wood offers a fantastic opportunity for natural cycling for all ages and abilities. The forest roads are well surfaced and traffic free. Cycling in the forest is one of the safest and most relaxing ways to pick up confidence and develop cycling skills, before the challenge of the cross country and downhill-mountain biking trails also on offer. Ever tried Orienteering? The aim is to navigate between control points marked on an orienteering map. Permanent Orienteering Courses are a great way to get outside and go orienteering at a time and place that suits you in rural areas with beautiful scenery. It is an exciting and challenging outdoor sport that exercises mind and body, and there are three permanent courses in the Land of Oak & Iron, at Tyne Riverside Country Park, Prudhoe, Chopwell Woods and Gibside estate. Whatever your level of experience and fitness, there are courses to suit you. 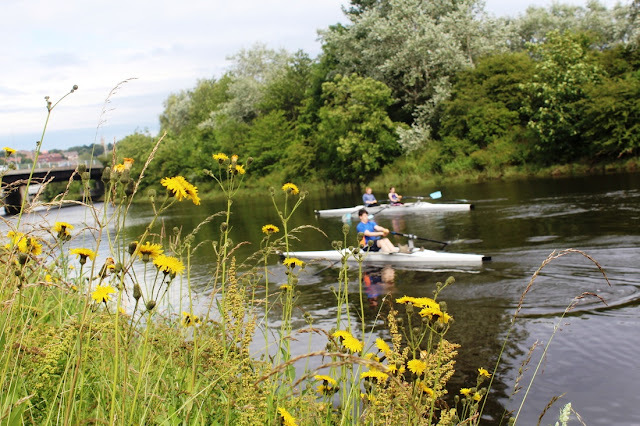 Gateshead Community Rowing Club has recently been awarded a grant from the Land of Oak & Iron. It is based at Derwenthaugh Marina where the River Derwent meets the River Tyne near the Metro Centre and just downstream from the Scotswood Bridge. It offers competitive and recreational rowing and has a wide range of boats from light racing shells to stable training boats and fixed seat coastal skiffs. It is suitable for rowers from age 11 upwards and of all abilities. 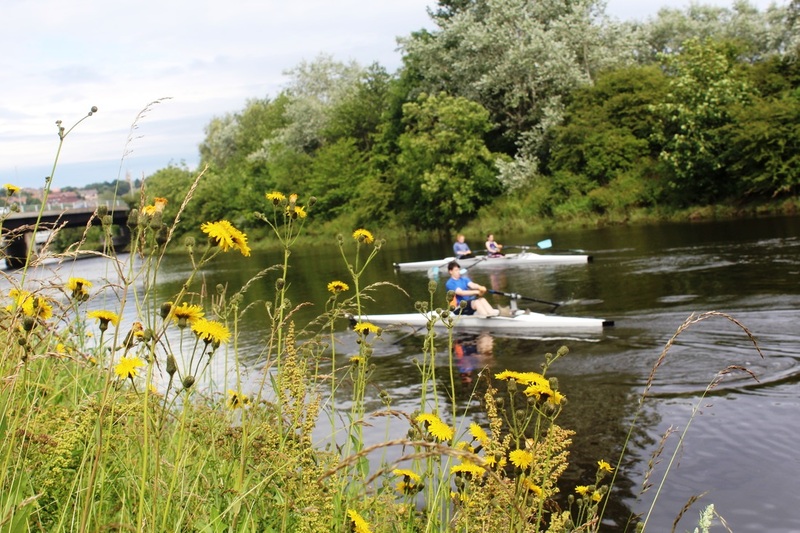 We are an inclusive club and have adapted boats and equipment for rowers with disabilities and impairments. Just remember to wrap up warm! 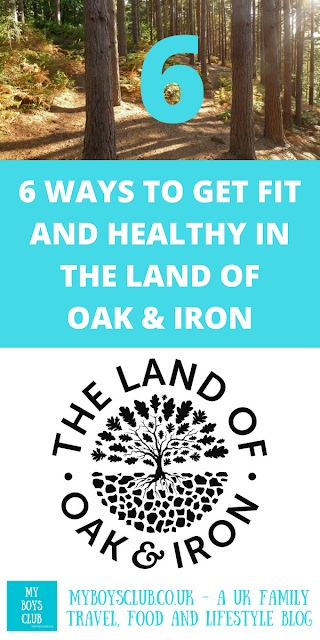 The Land of Oak & Iron has so many interesting places to discover. From historic places to find out about the industry that shaped today’s landscape to countryside and woodland to explore by bike, foot or horse - all with superb parking, cafés, facilities, access and events, too, making it the perfect destination for a day out whatever the season. Just remember to wrap up warm and dress for the outdoors! Disclosure: This is a sponsored post by the Land of Oak and Iron and we have been compensated for our time in writing it, but all content is original and written by My Boys Club. Photography has been supplied by the Land of Oak and Iron.